Home » Tips and Tricks » How You Can Attract Heavy Traffic By Using Meta Tags? 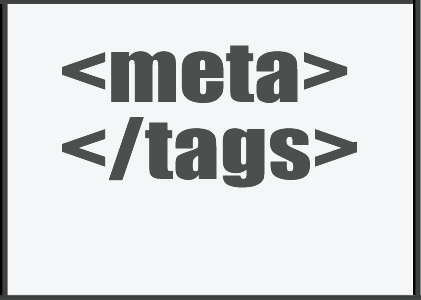 How You Can Attract Heavy Traffic By Using Meta Tags? There are plenty Meta Tags using in SEO but the most significant Meta tag in SEO is Meta Description. It is very crucial while writing a blog post which appears in the search results. There are two ways for inserting Meta tags like manually and automation. Anyone can easily entered Meta tag manually and if you don’t want to add Meta tag manually then automatically the first few lines of your post will be taken as the Meta tags. Why You Need To Enter Meta Tags Manually? When you start a post with topic then the beginning lines will show in search result but the beginning lines may be relevant or suite to the post heading, so, if you want some relevant description then you need to enter Meta tags manually. Why Relevant Starting Lines Are Significant? Meta Description tells the search engines bots and spiders what your post is about. OH yes, it’s also tells the readers about your post. Read More: How Google Evaluates High Quality Content Read More: Optimize Web Content For Alternate Search Engines! When we talk about blogging, it should be relevant because if you provide relevant information then readers easily understand your posts. Posts should constantly have a relevant heading and links. In the similar way relevant Meta tags should also be there. One more thing is important in description; it is relevant to the heading. If your post description doesn’t match with your heading then there is less probability that people will click on it because over there readers doesn’t get any informative information which they want while viewing your post on search engine. Only relevant description will give the readers a reason to click on your link and this will bring to you blog. So now you realize that how important Meta tags are in SEO. SEO (Search Engine Optimization) is very essential for your blog nowadays because everyone want to come up on Google because if you have number one ranking out of millions of blogs you will not get that much traffic your blog deserve. Now don’t ever ignore to put a relevant description in your post. If you have seen the other blogs headlines, its look great and creative, Headlines display in search results, social networks & everywhere you share the post. So now you think that which headlines can attract readers directly to your blog. While writing a description it should be classical because it appear in search and people by reading it decides either to open link or not. So, make sure you write a relevant description of your articles. A question may come in mind!! Meta Tags After Google Panda Update. Meta Keywords are not responsible for ranking of a blog post after the Google algorithm and Panda updates. Now search engines don’t see to give you a rank. They see’s your quality content. But folk still see and decides either to click the link or not. So they still has a great role. No click, no visitors, no money. How To Get More Out Of Your Posts? Always create excellent quality content, and give good heading along with a great meta-description. Make sure you add a good keyword density of keywords and to display more relevancies you can repeat your keyword twice in your meta-description. But remember not to over use. Eventually, I want to say that the usage of keywords in Meta keywords was very essential before, as search engine used to rank your post by checking them, but you shouldn’t wonder that now they are not significant. Still search engines use Meta tags to determine what your site is about.